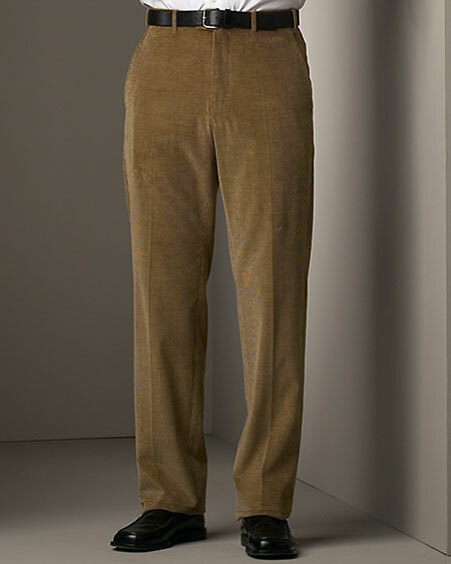 Sam Cerruti Custom Tailors - CUSTOM MEN TROUSERS & PANTS Pleated or Flat Front Dress Pants for Men: Pleats Allow for Extra Room, Flat Front Casuals Very Chic and Slim There is no question amongst most menswear experts that flat-front dress and casual pants are a more modern and trendy version of their traditional pleated counterparts – but that does not mean that the pleated pant has fallen entirely out of style or convention.Pleated Pants Better Choice for Larger Men and OthersWhat many men and women do not realize is that pleated pants are much more flattering on many types of build – larger men tend to look much better in a pleated dress pant as opposed to a flat-front.The same can be said of men with larger seats, legs, or thighs – the pleat allows for a more relaxed waist band but also allows for much greater room in the upper thigh and seat. For this reason, athletes who have much larger thighs might do well to wear a pleated pant.Pleated casual pants are useful for work settings, but are less fashionable and can only be offered a lukewarm suggestion for the great majority of men. 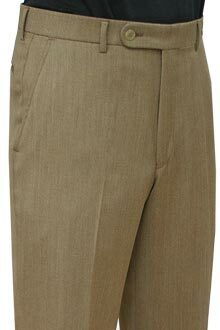 Pleats are more formal, business-like facet of a dress pant and so do not match well with jeans or cotton casuals.Flat-front Dress Pants Stylish, Youthful, Great on Slim MenA pleated dress pant will look absolutely frumpy on slimmer gentlemen, especially if the subject is noticably tall – the extra room makes the pants look ill-fitting and baggy, a death sentence when it comes to producing a sharp, tailored image.Flat-front dress pants promote a unified visual aesthetic that is slimming and generally snugger-fitting than the traditional pleated garment. Casual cotton or denim pants are best served up in a flat-front variety as this will encourage a much better fit and a complimentary silhouette from all angles of view.It is important to take individual body shape and comfort into consideration when choosing a new pair of pants for a job interview or for a night out on the town.Pleats may be more accommodating, classic, business looks that work great for some, while flat-front pants may present the ultimate dress casual or smart casual solution for a night out on the town at a bar or nightclub. There is no question amongst most menswear experts that flat-front dress and casual pants are a more modern and trendy version of their traditional pleated counterparts – but that does not mean that the pleated pant has fallen entirely out of style or convention. 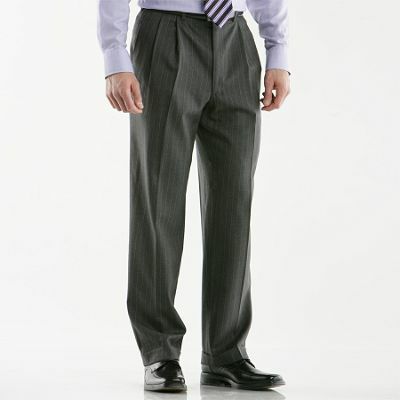 What many men and women do not realize is that pleated pants are much more flattering on many types of build – larger men tend to look much better in a pleated dress pant as opposed to a flat-front. The same can be said of men with larger seats, legs, or thighs – the pleat allows for a more relaxed waist band but also allows for much greater room in the upper thigh and seat. For this reason, athletes who have much larger thighs might do well to wear a pleated pant. 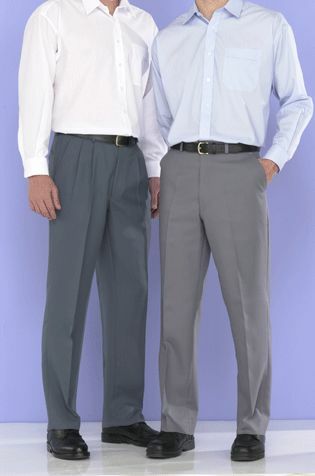 Pleated casual pants are useful for work settings, but are less fashionable and can only be offered a lukewarm suggestion for the great majority of men. 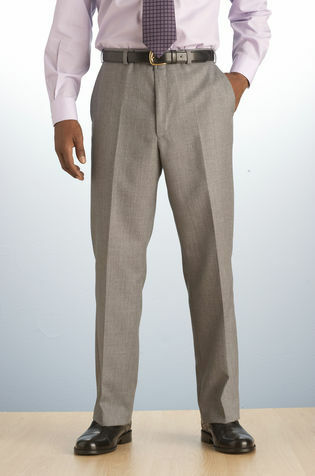 Pleats are more formal, business-like facet of a dress pant and so do not match well with jeans or cotton casuals. 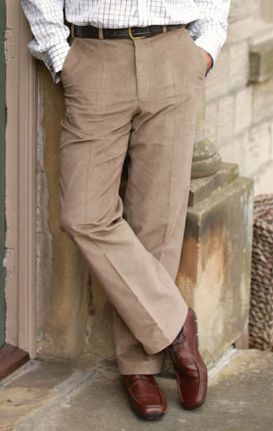 A pleated dress pant will look absolutely frumpy on slimmer gentlemen, especially if the subject is noticably tall – the extra room makes the pants look ill-fitting and baggy, a death sentence when it comes to producing a sharp, tailored image. 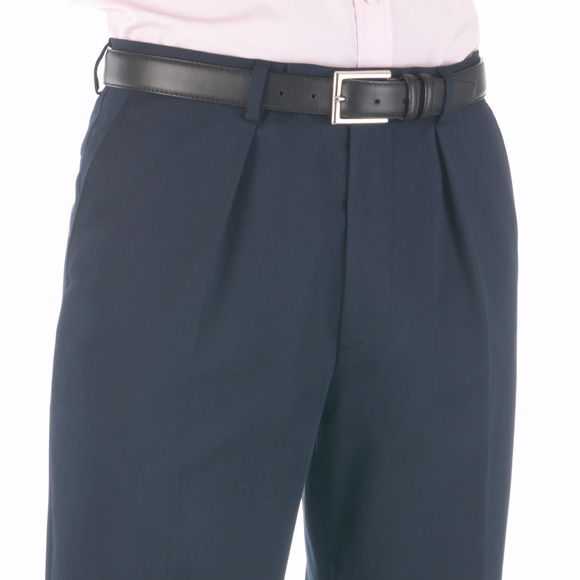 Flat-front dress pants promote a unified visual aesthetic that is slimming and generally snugger-fitting than the traditional pleated garment. Casual cotton or denim pants are best served up in a flat-front variety as this will encourage a much better fit and a complimentary silhouette from all angles of view. It is important to take individual body shape and comfort into consideration when choosing a new pair of pants for a job interview or for a night out on the town. Pleats may be more accommodating, classic, business looks that work great for some, while flat-front pants may present the ultimate dress casual or smart casual solution for a night out on the town at a bar or nightclub. 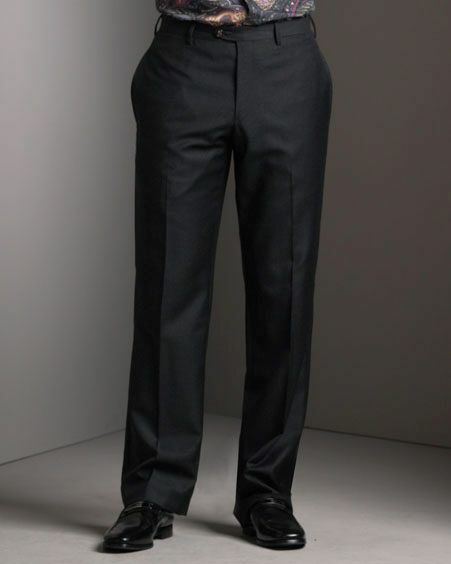 Men dress pant, double pleated, single pleated, non-pleated pant, straight cuff or turn-up cuff, chinos, cashmere pant & slack, pure wool pant, silk pant, linen, cotton, & wool-cashmere pant, machine washable pant, casual & business wear, baggy, classic, modern look pant.